Transparency and trustworthiness - Welttierschutzgesellschaft e.V. Is my donation really used for the intended purpose? What will be funded with the money? Transparency is a prerequisite for sustainable trust. Anyone who donates wants to know that their money is in good hands and really helps animals in need. Therefore, our work is reviewed comprehensively and we inform our supporters in detail, for example in our financial reports. Who is the Welttierschutzgesellschaft e.V.? 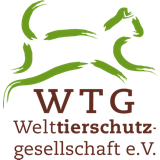 The Welttierschutzgesellschaft (WTG) is a non-profit association based in Berlin. The association was founded in 1998 in Bonn. Through projects in developing and emerging countries, as well as through political and publicly visible animal welfare campaigns in Germany, we create the conditions for sustainable improvement of living conditions of stray, farm and wild animals. In our projects we work together with local partner organisations, involve the local population and provide financial and technical expertise. What is the yearly amount of donations the Welttierschutzgesellschaft e. V. collects? Each year, the association receives about 1.5 million euros from private donations and trust funds. What does the Welttierschutzgesellschaft e. V. do with the donations? We want to help animals in need directly. With the donations, we support animal welfare projects in countries where there are hardly any measures in place to protect animals. We implement our projects with local partner organizations’. The selection and cooperation of project partners follows clear guidelines. On one hand we, together with our partners, make sure that our actions improve the concrete life situation of each individual animal. On the other hand, we aim to sensitize the local population to the needs of the animals and thus motivate them to treat the animals with respect and provide appropriate care Since lack of or insufficient veterinary care is one of the main problems in animal welfare in many countries, we are committed to improving education in the field of animal health. Our VETS UNITED education programme imparts sound theoretical and practical knowledge through education and further training of occupational groups working in the animal health professions. The aim is to firmly anchor the animal welfare concept in animal health work as well as professional animal health care. More information about the board, the management and the staff can be found »here. Is the work of the Welttierschutzgesellschaft charitable? Yes, our work has been recognized as of charitable purpose for the advancement of animal welfare (notice of exemption from the tax office Berlin for corporations, stamp number 27/681/53546, from 5 November, 2018). What else do I need to know about the association? Our vision is a world where animals are appreciated and treated with respect in an animal appropriate way by humans. The statutes of the association define the tasks and objectives of the Welttierschutzgesellschaft e. V. The purpose of the association according to paragraph 2 is the advancement of animal welfare. More about our mission statement can be found in our statue of the association, here for download: PDF Article (in German). The annual reports for the years 2008 - 2011, 2012, 2013, 2014, 2015 and 2016 can be downloaded in PDF format (in German). The annual accounts of the Welttierschutzgesellschaft are audited by independent certified accountants. The statement of income can be found in the current annual report. Currently twelve employees work on a full- and part-time, freelance and voluntary bases for the Welttierschutzgesellschaft. Names of legal entities whose donations account for more than 10 percent of our total annual revenues, or individual donations that account for more than 10 percent of total annual revenue, do not exist. “The Welttierschutzgesellschaft stands for sustainable animal welfare work, lean administration, close contact with the partner organisations and transparency in dealing with donations."